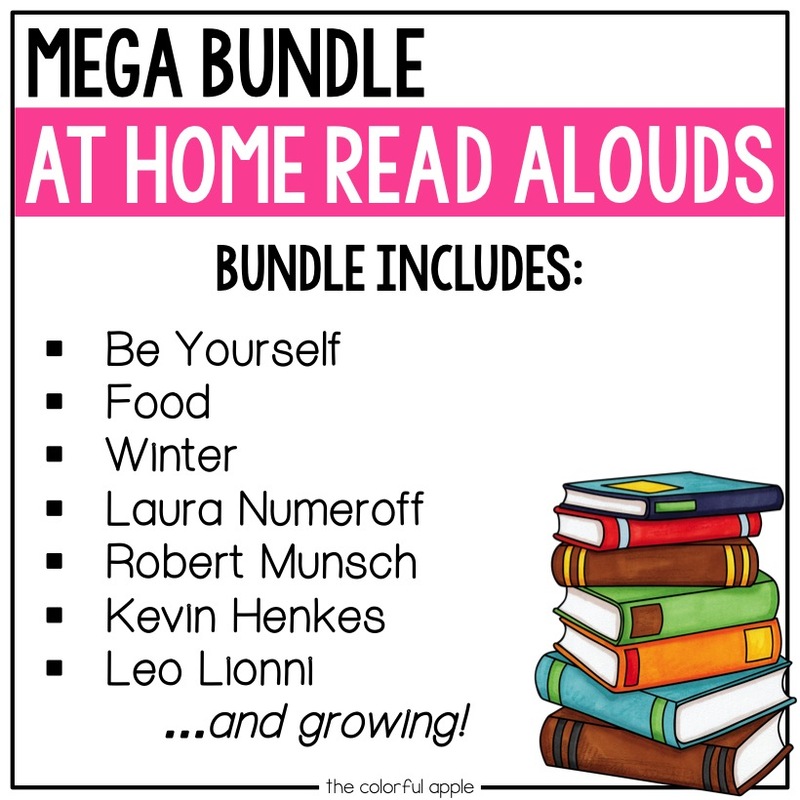 Give parents the tools they need to help their child become better readers! Each guide provides discussion questions, hands-on experiences and extension activities specific to favorite picture books. 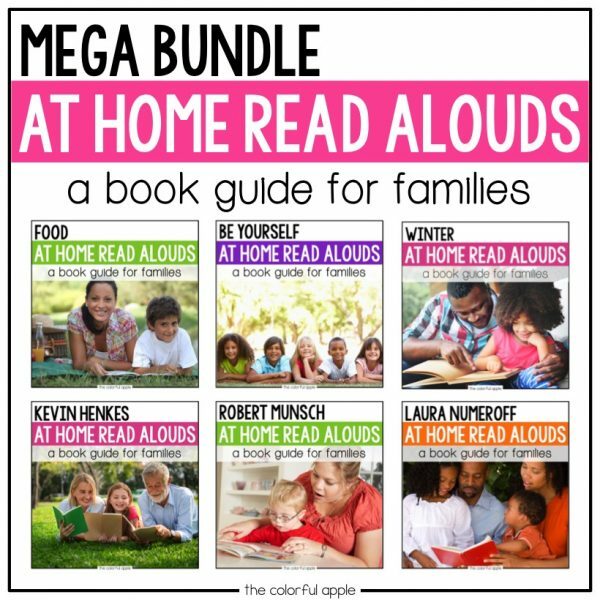 These reading strategies for parents will make reading aloud at home an easy and enjoyable experience for the whole family. To help families incorporate literature into their daily routine at home, I created simple book guides for some of my favorite read alouds. 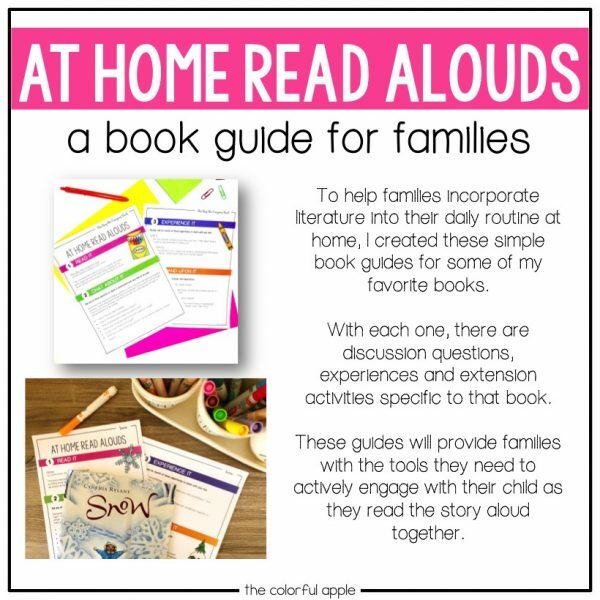 With each At Home Read Aloud, there are discussion questions, hands-on experiences and extension activities specific to that book. These reading at home strategies for parents make it so easy for them to engage in the reading process with their children at home! Each book companion is a reading resource for families that allows them to actively engage in the read aloud together.